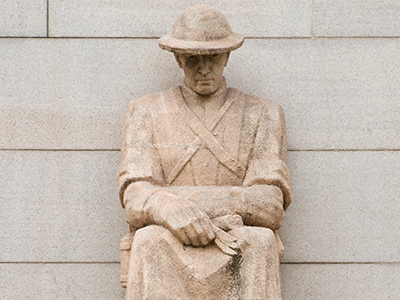 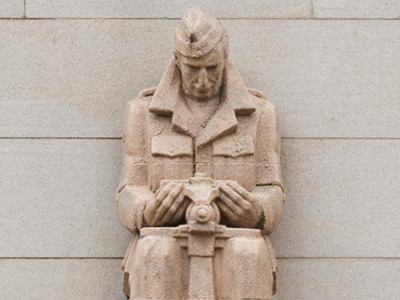 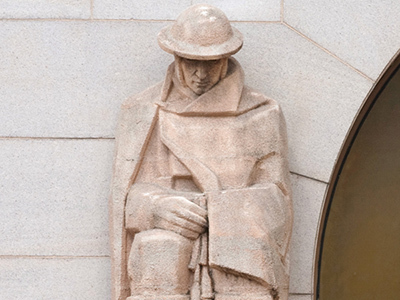 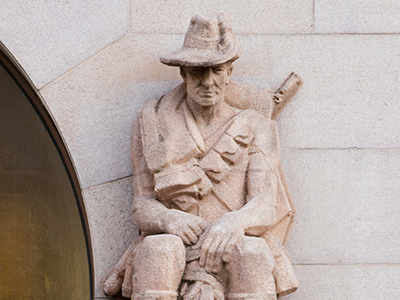 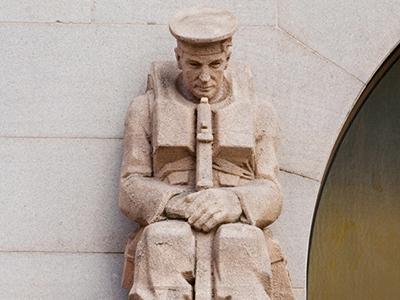 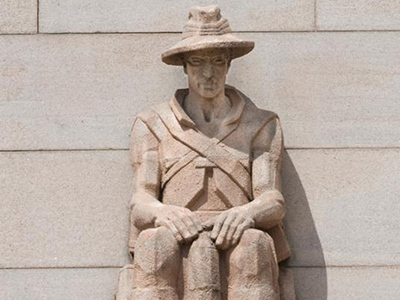 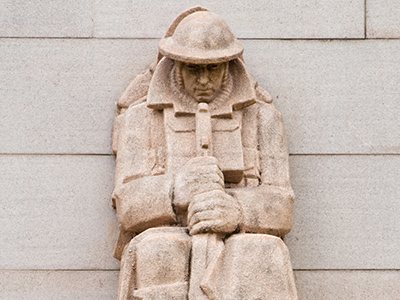 Rayner Hoff's sixteen seated figures, which represent the various units of the AIF, are positioned at the top of the Memorial building's buttresses. 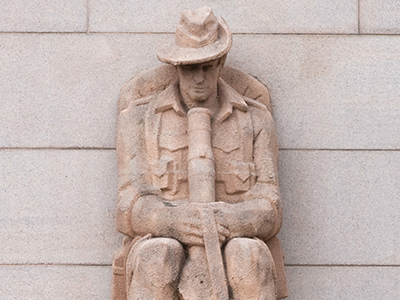 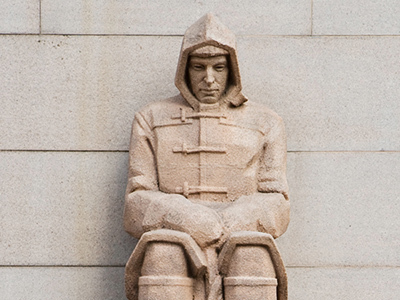 These statues hold the equipment and weaponry relevant to their roles and demonstrate the skills and expertise demonstrated by Australians during the Great War. 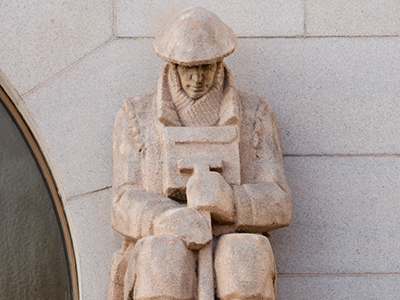 The figures make the building's purpose very clear. 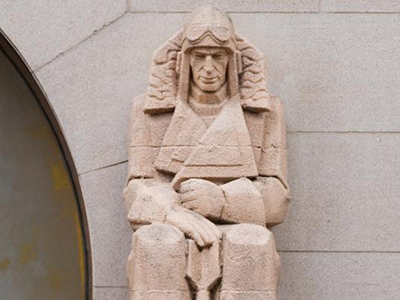 They were made in Hoff’s studio. 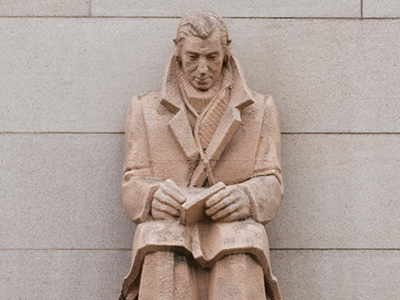 He would model a clay figure to a third or half life-size and then it would be enlarged, exactly to scale, by his assistants with the aid of a pointing machine. 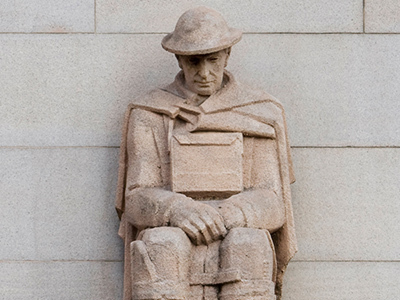 A plaster cast was then made in segments under John Moorfield’s supervision and the clay removed from the inside. 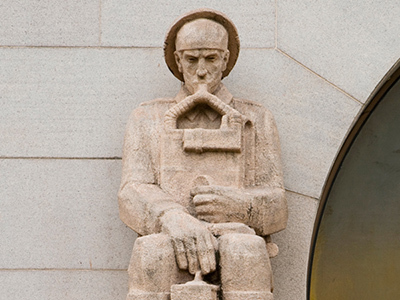 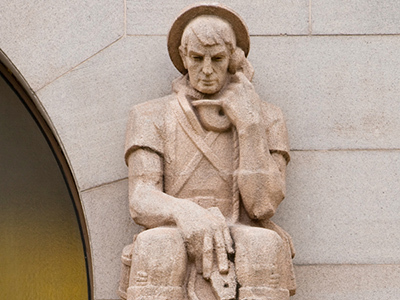 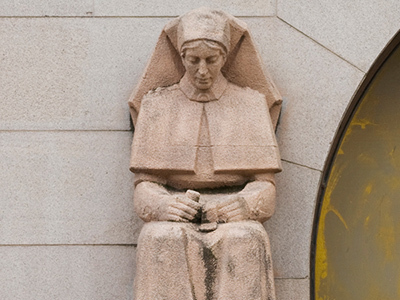 Thomas Grounds and Sons, a Newtown-based family business, then cast the figures in synthetic stone using a white cement, very fine- grained sand and a pinch of red oxide (to match the pink granite cladding of the building).